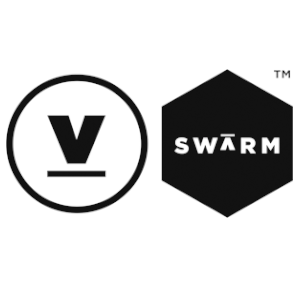 FORT WALTON BEACH, FL – Oct 29, 2015 – The Venture Hive Veterans Accelerator – the first endeavor of its kind for veteran owned businesses in Florida – is hosting ‘The SWARM!’ as a culmination of its business-training program. For the past three months, seven companies have been developing their businesses on-site through Venture Hive’s intensive program for veteran entrepreneurs. On Monday, November 9 at 6 p.m., the Fort Walton Beach community, strategic partners and investors will have the chance to hear pitches from participating businesses like Drones Unlimited and DreamHighr. The Venture Hive Accelerator program is focused on recruiting and cultivating veteran and military family owned businesses in sectors closely aligned with Fort Walton Beach’s economic future. In May, the City of Fort Walton Beach took a chance on veterans and allocated $500,000 to support them through the program. Together, Venture Hive and Fort Walton Beach have created a new home for the veteran entrepreneurship movement that is unique not just in the region but as part of a national constellation of veteran business training programs. The partnership is now connecting veterans with innovative, scalable businesses to the resources and support they need to grow on a global scale. “This single event represents a culmination of some great efforts from veteran entrepreneurs, from Venture Hive staff and mentors who further cultivated their talents, and from a community that has pledged its support for their individual visions. It all comes down to Demo Day and we encourage everyone to attend this exciting and one-of-a-kind event,” said Mike Anderson, Mayor of Fort Walton Beach. This first event comes just before Veteran’s Day, and occurs immediately after National Veterans Small Business Week. ‘The SWARM!’ is an important venue for these veteran owned companies to gain traction with investors and to grow and expand. The presenting business owners represent different branches of military service and some have already been recognized for their achievements. Drones Unlimited, owned by a Navy veteran and his friend, has developed into a scalable business capable of becoming the market leader for all drone applications across the country. The company recently received Florida’s Young Entrepreneur Award from Gov. Rick Scott. Other businesses like DreamHighr, described as the Match.com of hiring solutions, are making waves in a community on the verge of developing a tech culture and hungry for innovative tools. “We’re excited to provide these companies with the opportunity to not only show off their great ideas but also to show the world exactly what our nation’s veterans can do when given the right tools,” said Susan Amat, Ph.D., founder of Venture Hive. ‘The SWARM!’ will take place in the Fort Walton Beach Civic Auditorium located at 107 Miracle Strip Parkway SW, Fort Walton Beach, 32548. Doors open at 5:30 p.m. This event is open to the media. To register for the event, please visit www.vhswarm.eventbrite.com. For more information about the Venture Hive Veterans Program, visit www.fwb.venturehive.com. Venture Hive creates, tests and validates the content and software tools that corporations, governments, and universities need in running innovation management, economic development, and entrepreneurship programs. Through our programs and platform, stakeholders have transparency, program directors have clarity, and entrepreneurs have the resources, training, and support to build better companies to spur innovation, technology commercialization, and job creation. Learn more at www.venturehive.com and www.fwb.venturehive.com. Revealed as one of 2014’s 10 Happiest Cities in America according to the U.S. Bureau of Economic Research, the city of Fort Walton Beach rests in the heart of Florida’s famed Emerald Coast. Serving roughly 20,000 residents, city leadership and staff maintain a commitment to providing high quality, personalized services to visitors and residents while actively supporting the advanced technological pursuits of its military and business communities. To learn more, visit www.fwb.org/. Gulf Power is an investor-owned electric utility with all of its common stock owned by Atlanta-based Southern Company. Gulf Power serves more than 447,000 customers in eight counties throughout Northwest Florida. The company’s mission is to safely provide exceptional customer value by delivering reliable, affordable and environmentally responsible electricity while strengthening our communities. Visit online at GulfPower.com or on the company’s Facebook page. News information can be found at www.GulfPowerNews.com.